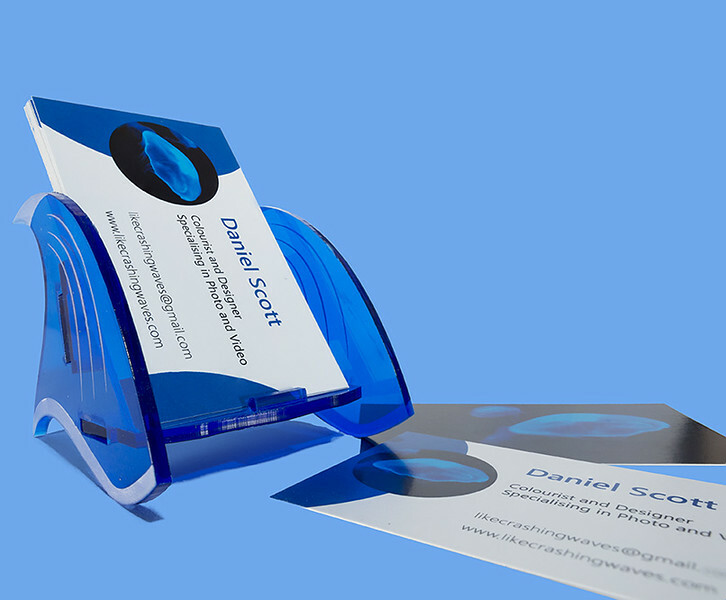 The second part of my branding experiment (the first was a book), I created the business cards and the holder to work together. By extending the branding to not only the business cards, but the holder as well, I created a stronger, more personal brand. The holder is made out of perspex that was laser cut and etched. Laser cutting is extremely precise, and I love the amount of things that you can do with a laser cutter!